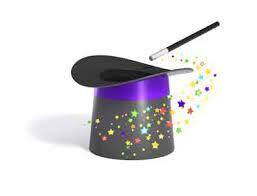 Do Event Planners Really Have Magic Powers? Common situation: There are last minute changes and requests for your event, and you request those changes and additions of your event planner. Most likely that planner will make the changes and add on what you requested in a professional manner, never appearing flustered or overwhelmed. 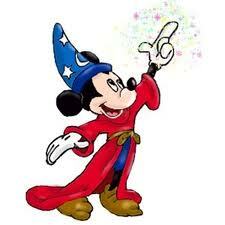 Does this mean that your event planner has magic powers? Most likely, not. However, your event planner is knowledgeable, creative and extremely well prepared, organized and detailed. Thus if the changes and new requests aren’t unintentionally ruining another aspect of the event, it might seem kind of like: Abracadabra!! Your change is made. Your event planner does not have a crystal ball for second guessing what a client really wants or needs, nor does he/she have ESP to read your mind. They don’t even have a magic box that makes equipment and services appear in a flash. Although that’s the impression many people seem to have. Case in point: Several years ago, we produced a tented event for a client, who often would say “you know what I mean”. Those are deadly words. After 2 days of set up and another rehearsal day, it is Sunday, and our client arrives. Caveat – just because there are presentations to be made, does not necessarily mean that the speakers will use a lectern. So, like magicians we called around to people that we knew who worked at universities. Like magic, a nearby university was offering a lectern for us to use, if we could pick it up and return it ourselves. You bet we could! We did. P&V – Smiles, heartbeat back to normal. Client surprises us with a video an hour before the event starts. It’s on a DVD made for a different region, not playable on US devices. P&V- “This is in the wrong format”. P&V – OK, we will take care of this. P&V, with special software converts the video to a playable format.